The personnel was good. It made my life so much easier. If something came up, I didn't feel like I had to be there every night with my aunt. It gave me peace of mind. The people that we had and the administrators were so kind and so helpful. They are very prompt, thorough, and professional with meeting our needs. I like how they have been able to meet all our needs. They have found a good match with home care for my parents. That's been very helpful. They help with baths and straightening up my clothes. I think they need to train the people they send out here better. I don't think I would recommend them at all. I think they are having a hard time finding someone that knows what they are doing. They have long fingernails, which I don't like around my food. I have had them change caregivers about four times. They do my shopping for me, as I am terribly sick. I am in terrible shape if they don't care for me. I like the caregivers that help me. They seem conscientious and pleasant. I am very satisfied. They are on time and take care of the client. They do everything I need them to do. They were always there when I needed them and they provided someone if they weren't available that day and I got to meet the person before they brought them here. They have quality service and they always make sure that whoever they bring to your home matches the personality of the client. The services are dependable. The company provides the service that I need. The are very professional, compassionate, and they go above and beyond to get the job done. It allowed me to have some respite time from being a caregiver 24/7. They helped the most by being present because she wasn't able to be alone. They provided excellent care and were very accommodating. The sitters were very concerned and caring and they took good care of him and they would clean him up. Most of the people that they provided worked out well and were excellent. I think that they are fine. I get good service, and they are kind and very helpful to me. I am more than satisfied. They are fine. Without them, I would be stuck here by myself. They helped him with his hygiene. I would tell a friend that they are helpful and take care of his needs. They are very professional and they contact me. Recently, they had to take my loved one to the hospital and they called me right away. They do contact me when anything comes up. They are reliable. They are there to cook and clean. They are very good at matching the caregiver with the person. I like that they keep me informed. Their caregivers are very punctual, which means I don't have to worry about them. The caregivers are really good at their jobs, which relieves me of any worry and stress. It would be nice to add more scheduled hours during the day. They actual communications between them and the first week with my mother. They look after my mother. They show the utmost care for my loved one. They have a great service. They've helped by giving me comfort. Montebello Home Care has been very helpful in assisting my dad in the care for my mother. I can work without fear of a phone call asking me for help and to come home. I can trust the with my mother. That says it all. They are wonderful. I couldn't be without them. She is in assisted living facility. She has dementia and lost her memory. I totally rely on them to be there for me when I can't be there. They are invaluable. They are very punctual and they communicate well with us. They are very reliable. The caregivers will assist my mom with small things and be here as a companion. The caregivers are very attentive, hands-on, and uplifting for her. Montebello Home Care is very well-organized, and the people that they have hired know their business. They are more concerned with helping people than about the money. We receive more personalized care from them. My parents are older, and I work and can't be there all the time with them, so I couldn't do it without them. They were always on time and they were there every day that I needed them. They sent the same lady all the time, which was nice because my mom was able to get used to her. Montebello Home Care is very dependable. The services make life easier by decreasing the amount of work that I have to do. I have been pleased with my caregiver because they are fun to talk to. The caregivers help make my meals and run errands with me. Montebello Home Care has very caring and wonderful employees that really care about my father. I think they do a really good job. If someone doesn't fit, they are removed. They do an appropriate job of matching caregivers to him. It is nice to know that Montebello Home Care is caring for my father all day so that he doesn't wander off. I think he is in a safe and comfortable environment. It relieves me of stress knowing someone is there with him. Montebello Home Care's process is very thorough. They came out and met with me personally to tell me everything that would be involved. The information was given to me verbally and in writing. I liked that I got to meet the caregivers as well as the backup caregivers. My mother is not letting her caregivers do as much as they could do and has been resistant to receive help. Montebello Home Care is caring. They notify me of any situation, whether it be scheduling or about my mom. The services that Montebello Home Care provides help my mother get the day started. They make sure that she's had her bath and that the household chores are done. They will cook for her. Montebello Home Care does a good job at matching caregivers to clients based on personality and skills. The services were a small piece of Carolyn's life, and they couldn't solve everything. The services made Carolyn's life better because the caregivers helped her with all the necessary routine daily functions. Montebello Home Care has a great quality of service, and they really care about their clients. Montebello Home Care is able to provide the company my loved one needs, as well as all the necessary care she needs. I would tell a friend that everyone from Montebello Home Care is helpful and friendly, and I like them very much. Montebello Home Care makes my husband's life easier because the caregiver gives him a shower, and that makes him feel better. I would tell a friend Montebello Home Care keeps in touch with me very well and keeps me updated. Montebello Home Care has had a lot of turnover in the caregivers. 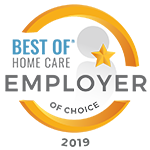 I would recommend Montebello Home Care because the caregiver they send to us is very reliable and compassionate. Montebello Home Care makes life easier by giving me peace of mind. Montebello Home Care pulled everything together on short notice for me, and everyone is so helpful to me. The services from Montebello Home Care are helping me to get better and enjoy life more. Montebello Home Care has a professional management and excellent caregivers. The services have had a very positive impact. Montebello Home Care provides quality care for their patients, and the families can be confident in that care. Montebello Home Care does a good job at training their caregivers. Montebello Home Care's services have helped the most by taking really good care of my mother. Montebello Home Care is dependable. When you call, they stay in contact and will do what they say they will. Montebello Home Care allowed us to go out of town for a weekend and not worry about our loved one. 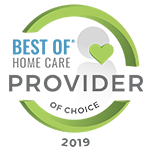 I was impressed because Montebello Home Care was extremely professional, and I am a state surveyor and I would not have given them any deficiencies. They were on time. I don't know if I could have gotten along without Montebello Home Care. I would tell a friend that Montebello Home Care is pretty expensive at $19 an hour. Montebello Home Care has helped me the most by caring for my dad. Montebello Home Care has very compassionate workers. I have recommended them to someone who will be using the services. Montebello Home Care takes care of my mother-in-law because we can not always be there to do things she needs taken care of. At Home Senior Care is always dependable and helpful. At Home Senior Care is there to relieve me from having to constantly care for my mother. The caregivers will take my mom to the doctor as well. I would tell someone that At Home Senior Care tries very hard to satisfy the needs of their clients, and that is tremendous. I appreciate that At Home Senior Care takes very good care of my mother. Whenever I call At Home Senior Care, they respond quickly, and they will call back. They also seem very concerned about any questions we have. It is a huge help to have the services from At Home Senior Care for my mother-in-law. The caregiver is able to provide all of my mother-in-law's daily needs. I would tell someone that At Home Senior Care does a very neat job. They are precise and don't mess around. They get the job done and go. My caregiver knows what to do. I only had to tell her once, and now she knows what to do. The caregiver we had was the nicest person you can find. The care eased the things that I had to do. 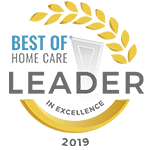 Montebello Home Care is an in-home care provider serving Beaumont, Texas and the surrounding area. 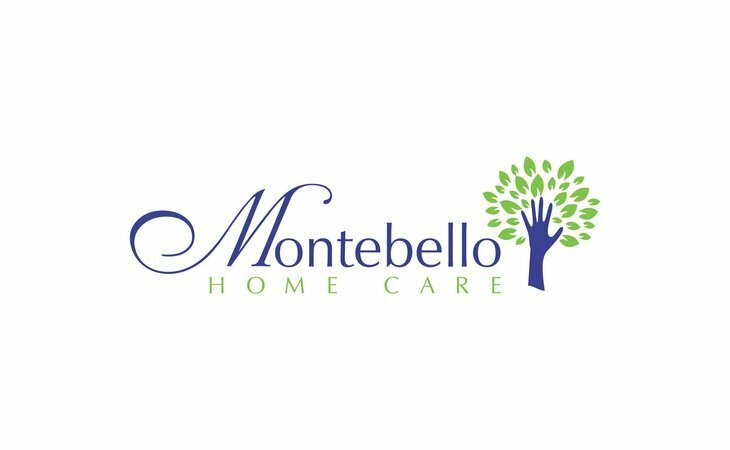 Montebello Home Care offers non-medical services in the home, such as meal preparation, housekeeping, and transportation. Contact the provider for more details on home care services and rates. What should caregivers and potential clients know about Montebello Home Care?